As I walked up to the plate a flood of teenage memories crashed around my heart. I’ve always been athletic, but due to my nerdiness, I was usually picked last and rarely given an opportunity to shine. On this day, walking up to take a turn at bat, my only hope was to not make a fool of myself. It had been years since I’d swung a softball bat. Since I was joining the game late, I had no time to warm up or even think of what was happening. All I knew is that I didn’t want to screw up. For the most part, the only way I knew how to stay composed was to stick with the fundamentals. I knew that if I wanted to hit the ball, I had to keep my eye on it. Especially in this one-pitch, modified game. I didn’t concern myself with where I wanted to hit it or how hard, I just kept my eye on the ball and swung cleanly. I connected well. It was a good, line-drive hit sailing over the shortstop’s head. it was a line drive sailing over the shortstop’s head. I barely took one step towards first base when the teenage shortstop leaped several feet into the air and pulled my well hit ball out of the sky. Though I was out, I had established my athletic prowess among my peers. As I went back to the bench – the fear of failure flood subsided. This hybrid softball game utilizes an unlimited number of players in the field. Once again, as I headed to the deep outfield, I had feelings of junior high school PE class. I felt like an outcast in the outfield. Because we had no set positions, I slowly moved towards the infield. Before the third inning was over, I was playing between the shortstop and second-baseman. From this position I could backup other players during outs and coach the infielders. What? Yeah, I didn’t intend to, but it is in my genes to coach people to play good ball. As we walked back to our cabin I told my Wife that I had accidentally started to coach the team. “Did they enjoy that?” She asked. I laughed. When I play, I play to win! I love to play and I love to play hard. When I play, I play to win. To me, winning is everything. I don’t go out onto the field just to hit a few softballs and run around a bit. I’m out there to compete – for it is in competing that I find the best is brought out of me. But after a few decades on the planet, I’m finding that most don’t approach life that way. The fellowship and socialization is enough for them. Generally speaking, many don’t approach their careers or their sports to win. Nor do they see raising kids as a task that requires excellence. Recently I listened to a man calling into a talk-radio station. He wanted to know how he could build better rapport with his coworkers. Through some questioning and dialog, the radio host was able to find out that the caller was extremely focused on his job and his coworkers didn’t appreciate his dedication. I saw myself through the eyes of the caller. For me, relationships weren’t what mattered – it was to complete the job at hand with excellence. The caller asked the host how he could be better accepted by his coworkers. And while the host tried to explain helping others to succeed in areas they valued, the caller couldn’t see how this was different than asking them to not be slackers at work. I’m the guy that never gives up on the task at hand. 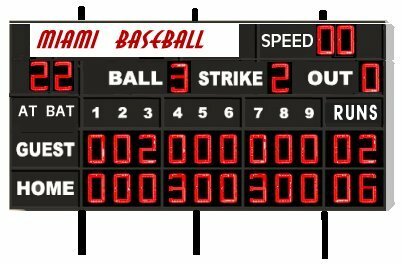 When we are behind by three runs with two outs in the ninth inning, I keep playing the game with full intensity and expect the same from others. Usually others are rolling their eyes at me. So, how do I correlate my values of excellence and achievement with those who value relationships over tasks? Or maybe a better way of stating this is that I tend to focus on tasks over relationships. Knowing that I see life differently than most, doesn’t seem to help me much. As I contemplate this, I realize I have a fairly arrogant approach to winning. If winning is only about scoring points and beating others, then I have discounted the value of winning in relationships. So, as I approach the end of my first half-century, it becomes incumbent upon me to relearn life, tasks, and relationships. I’m not sure I ever would have come to this point if I hadn’t experienced a few major failures in the last few years, I’m not sure I’d be able to see this so clearly. If I hadn’t stopped working 80 hours a week, I’m not sure I’d have the time to process through this. What I’m hoping to learn, and what I need to learn, is how to put relationships over accomplishments. I’ve always sought excellence, I suppose now is the time to seek excellence in relationships. If that isn’t a challenge, I don’t know what is. As a follow-up, apparently someone liked the way I played ball last week. I received a phone call Sunday night inviting me to play for a team during a labor day weekend tournament. Now, let’s see if I can play well, have fun, and NOT coach others. Besides… who’s keeping score anyway? Oh, they will be keeping score during Labor day, Gary. Be assured of that. I hope you have fun.